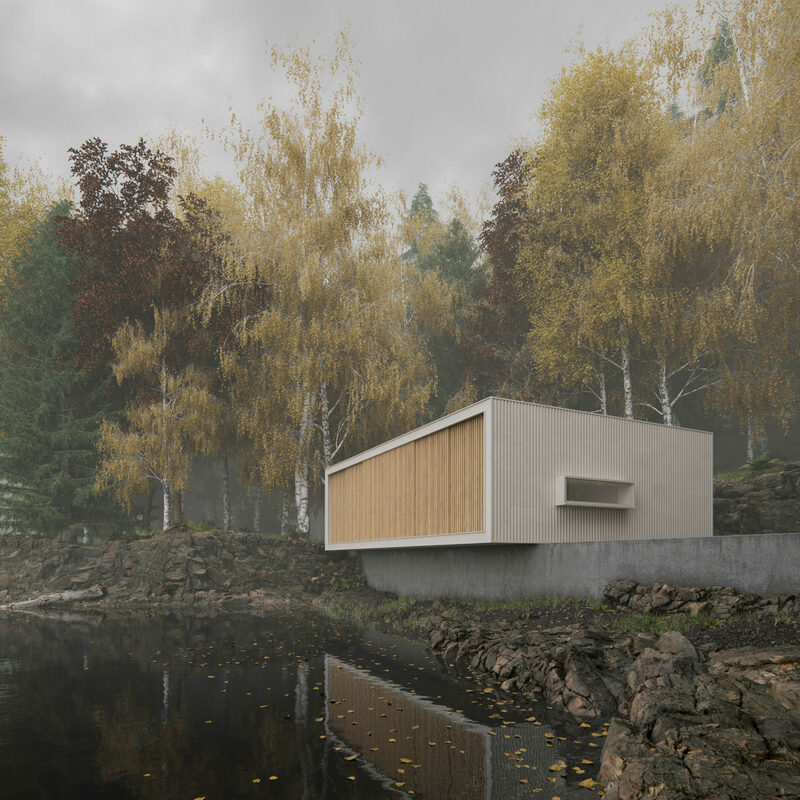 An evocative image called “Autumn by the lake” from our ex-student Mirko Pignotti. “Autumn by the Lake” came from our necessity to have a cover image for our portfolio and website. We tried to create an evocative image and include technical complexity at the same time. 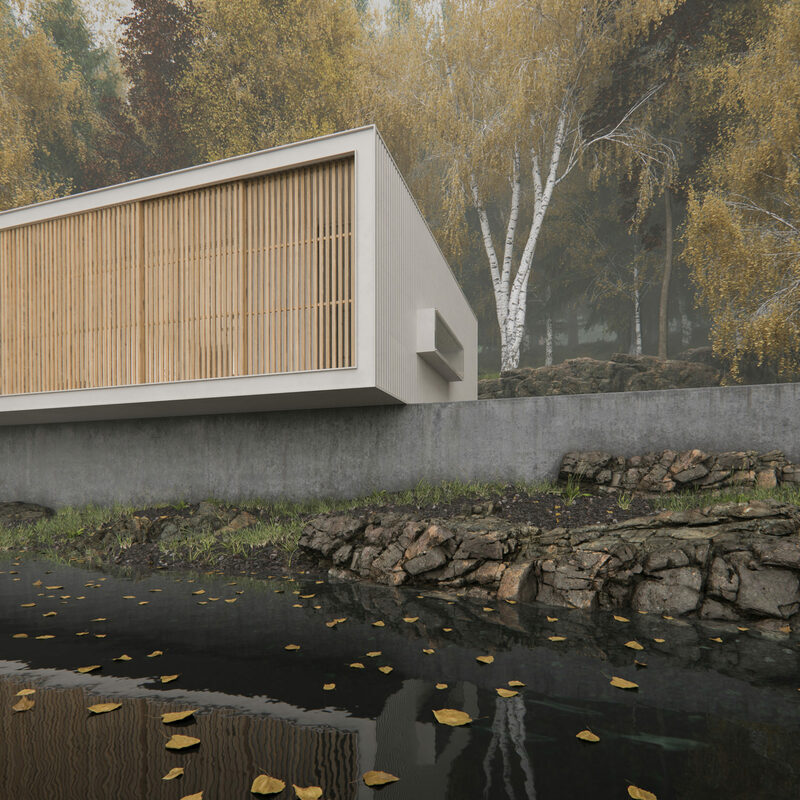 The project we use as reference for the architectural subject is the retreat in Finca Aguy from MAPA Studio. 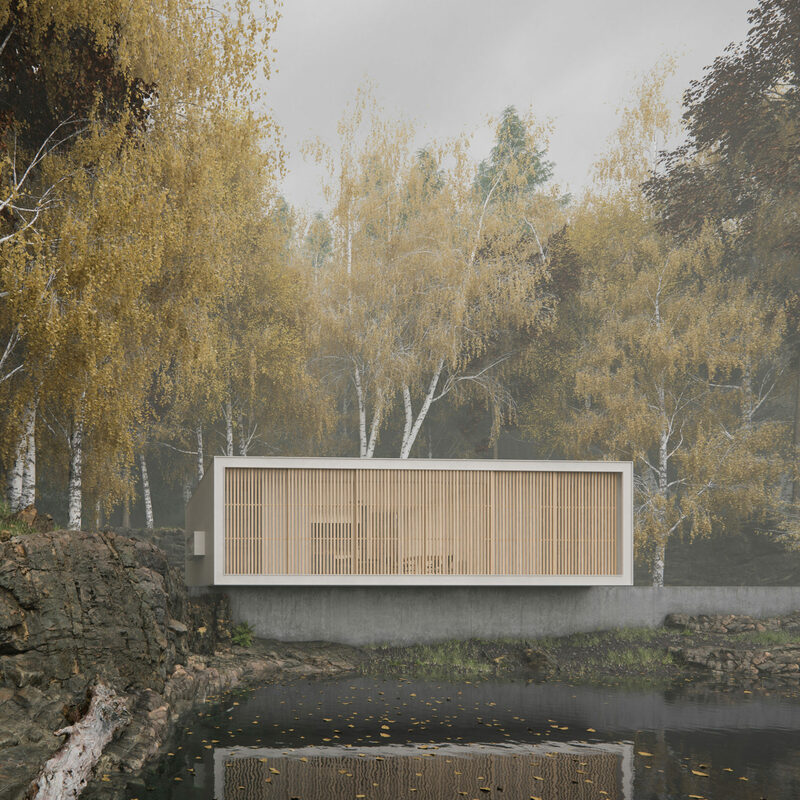 However we decided to place it in a completely different context, locating the structure by the shore of a lake, to use the mirror effect created by water. The shore rocks together with some of the plants in the scene are coming from Quixel Megascans library, while the trees come from other on-line libraries. The biggest challenge was to have the most complete image as possible directly form the frame buffer with a really low post production in Photoshop. The result was a really heavy scene which has been a severe test for our system despite an important use of Corona proxy. 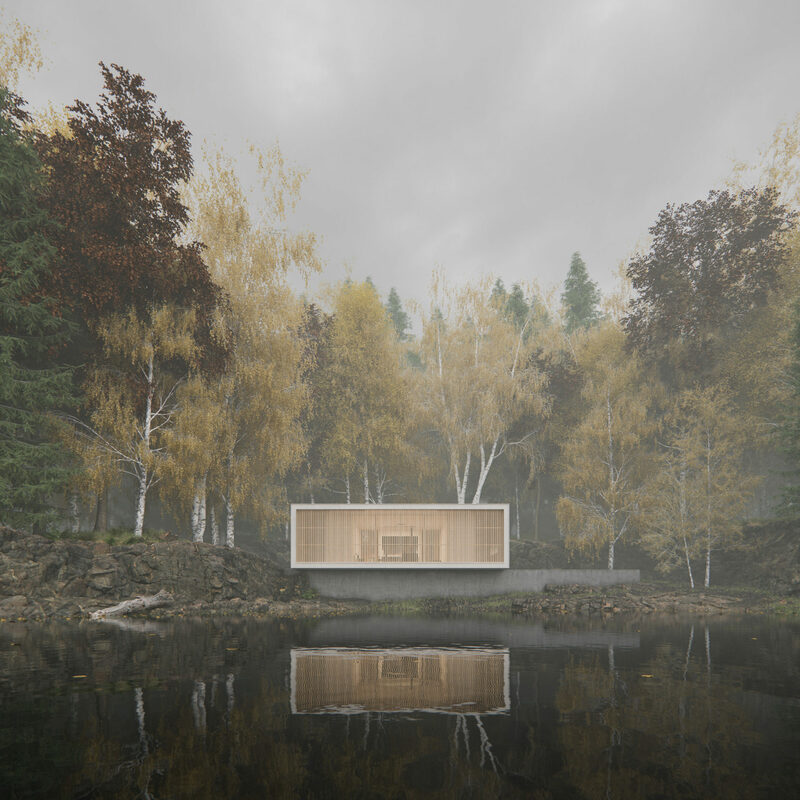 Software used: 3ds Max, Corona Renderer, Photoshop, Itoo Forest Pack. Check here the Work in Progress.